Many fountain pen enthusiasts will agree that the Lamy Safari is the "tank" of fountain pens. Designed by Wolfgang Fabian and made of tough ABS plastic, Safari's continued production since its humble beginning in 1980 is a living testimony of its enduring design. 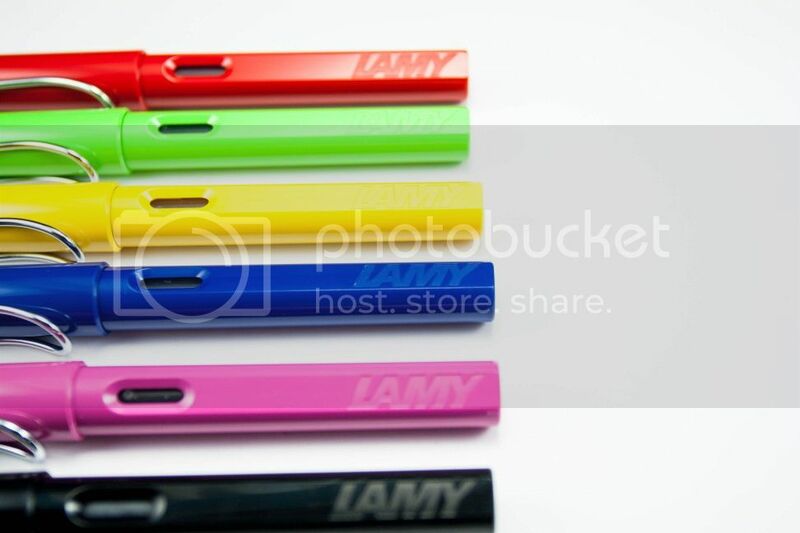 Targeted at younger market, the Lamy Safari comes with many colours, some of which are limited editions released on yearly basis. 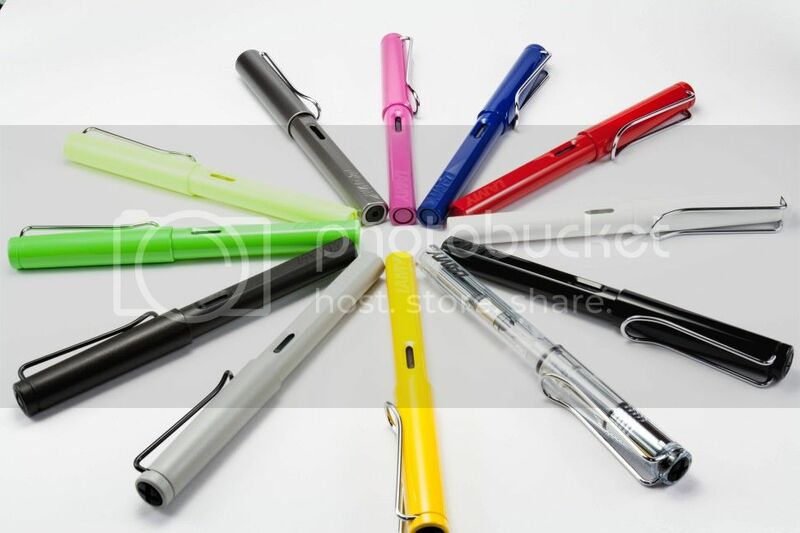 For those that are made with aluminum, Lamy market them as 'AL-Star' and whereas the clear version is marketed as 'Vista'. With the exception of the AL-Star, which are slightly fatter and featuring clear sections, all the Safari's come with same dimensions. I use the Safari on daily basis, taking advantage of its diverse colours paired with similar coloured ink. 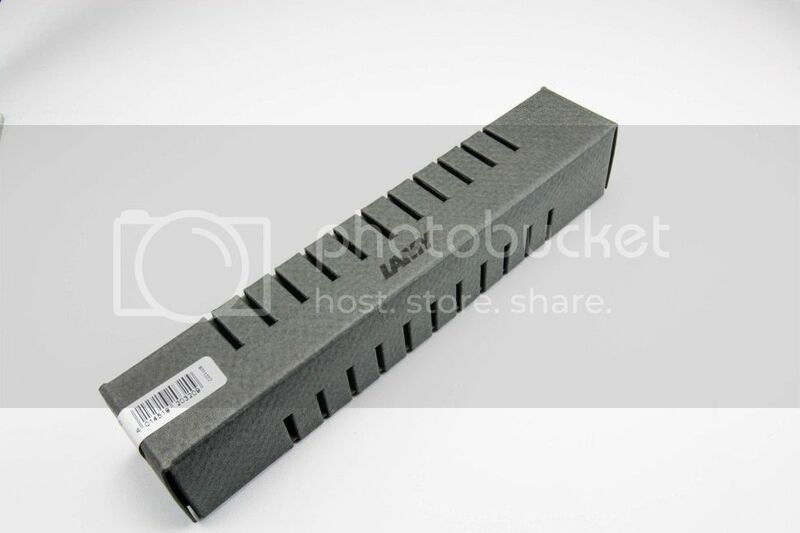 The Safari comes with an unassuming box, a simple gray paper box with cut away windows. Simple in presentation yet functional in protecting the pen inside. 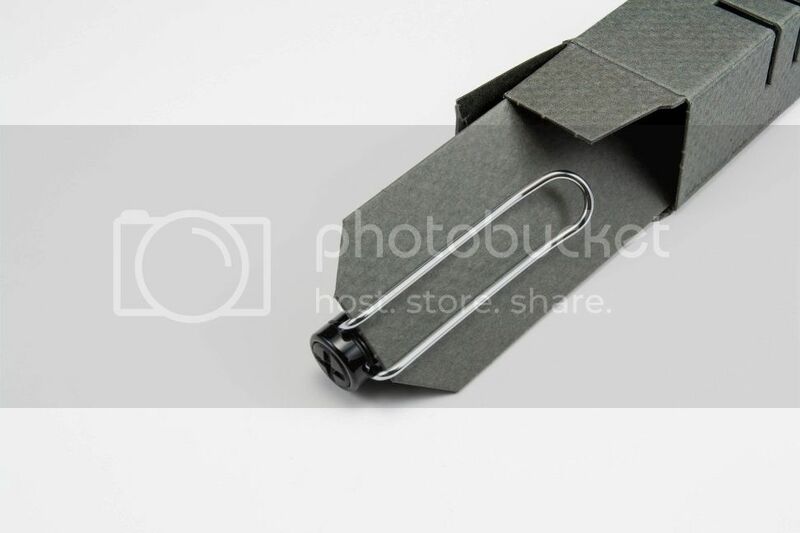 The pen is clipped sturdily on a piece of card placed diagonally inside the box. Don't be fooled by the paper box. You have to touch and feel the box to see how tough it is. The body of the pen feature an ink window, a big clip where the Safari is famous for, a 'screw' like design on top of the cape and a stainless steel nib. It comes with glossy surface, with exception to the charcoal black Safari. So despite being tough, the pen is not free from micro scratches after some use. The Safaris that I have all come with a converter. 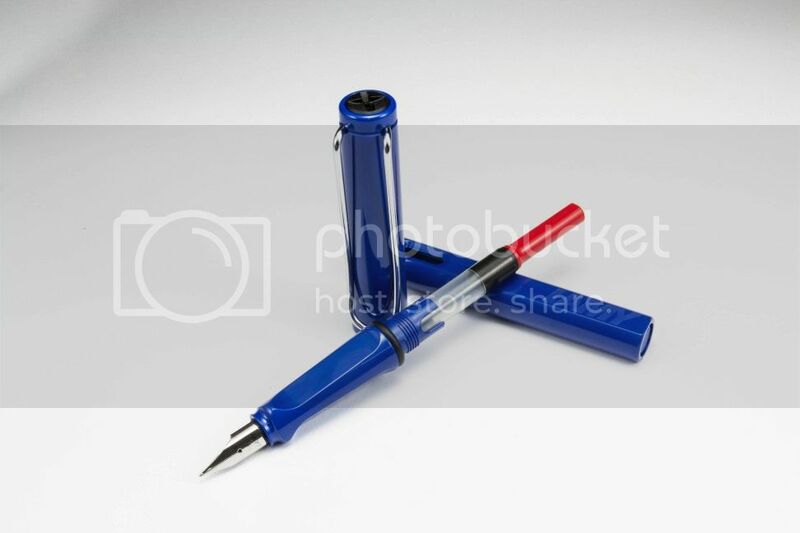 I read somewhere that in some parts of the world it comes only with a cartridge, which is proprietary and unique to Lamy. The good thing about their nibs is that it is easily exchangeable. There are many articles on the internet on this subject so I will not elaborate further here. As the nib is made of stainless steel, it is not flexible but very smooth, especially their B nib. 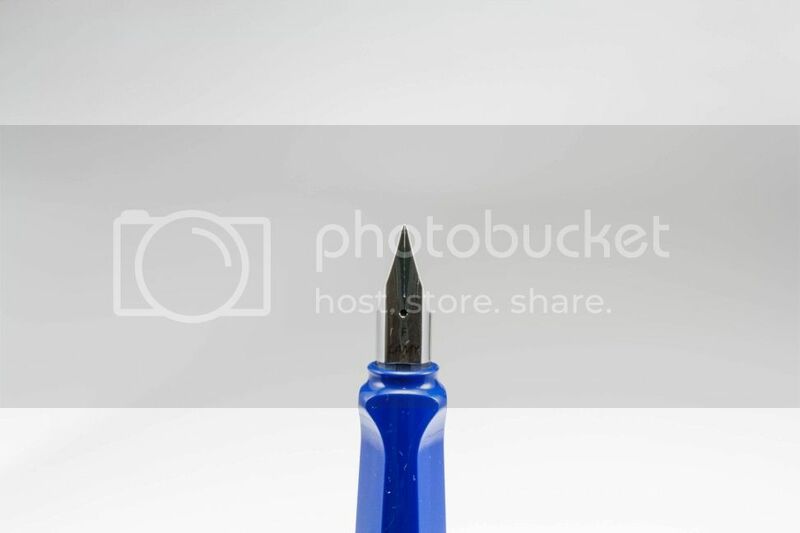 Like all European nibs, the size of the nib is generally broader than its Asian counterparts. I use M for normal writing with English alphabets. Their F nib will not be fine enough if you were to write in Chinese, Kanji or Hangeul characters on regular lined papers. Their EF nib is suitable for that purpose, but I find it not as smooth compared to the Japanese nibs. Like all things made in Germany, Lamy Safari is a good example of fine German engineering. Simple, reliable and tough. The Safari is affordable and a pleasure to use, definitely recommended for fountain pen beginners and veterans alike. I wear a penguin suit and play with words for a living. In love with six strings and a half stack. Awed with the world I see through the lens. Passionate with big things that are made small. Fascinated with obsolete instruments. Charmed by small metal boxes that kindle flames.